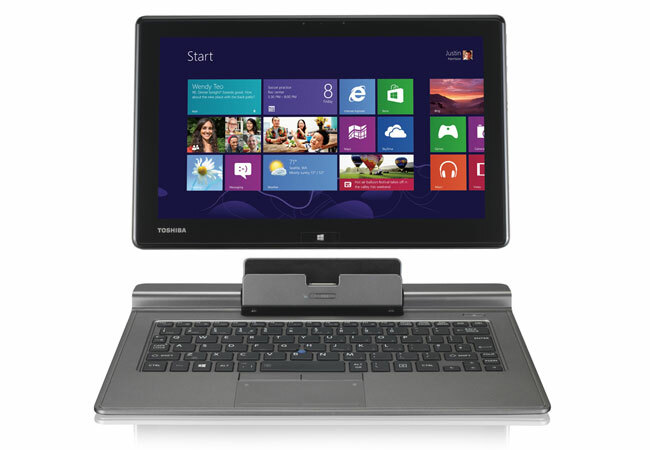 Toshiba has unveiled a new hybrid notebook tablet its created in the form of the Toshiba Portege Z10t, which has been designed to run Microsoft’s latest Windows 8 operating system, and easily transform from a tablet into a notebook when needed, using a keyboard dock. The Toshiba Portege Z10t is fitted with a 11.6 inch, 1920 x 1080 resolution display, and can be powered by a choice of Intel Core i3, Core i5, and Core i7 processors. Other features of the Toshiba Portege Z10t include 802.11a/b/g/n WiFi and Bluetooth 4.0 connectivity, a micorSD card slot, USB 3.0 port, and HDMI connection. Optional extras for the Toshiba Portege Z10t include a UMTS modem, active digitiser, and optional Intel WiDi wireless display technology. Unfortunately no information on pricing or worldwide availability has been released as yet, but as soon as information comes to light we will keep you updated as always.